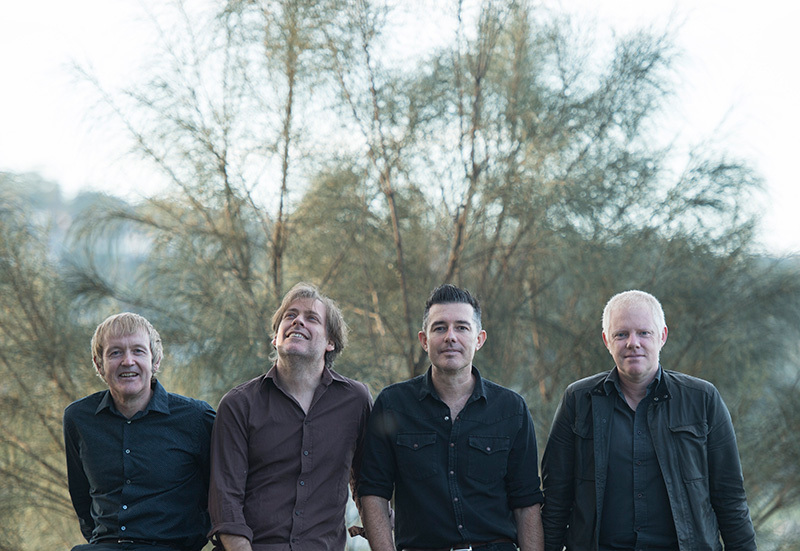 18 years after their debut King Autumn, HOOLAHAN have released the follow-up, Casuarina. To call it long-awaited seems inappropriate – surprising might be a better adjective. For a group that started in suburban Canberra with singer/guitarists Dave Orszaczky and Tim Kevin before relocating to Sydney, it is indeed an unexpected but welcome return. Orszaczky says that the reunion was not a case of mended bridges or buried hatchets, but a few mates getting together around songs that needed to be sung. “The four of us have always remained great friends – Tim and I have been mates since the age of 14, and we grew up playing guitar together. At a point we split as a band, our music and our lives headed in different directions. “I bought a lovely old guitar a couple of years back and took it down to Tim’s studio thinking we’d drink some wine and play a few chords. After an hour we put a mic up in the room and by the end of the night we had a stack of new song ideas on tape – we came back a week later and the same thing happened again. I still love those initial recordings ‘cos it’s the sound of two old friends reconnecting through music. The resulting album is exactly what you’d want from a beloved act who have spent so long away – it captures the sound and feel of a pop band that stood out from the 90s guitar crowd through their subtlety and intelligence, but updates the circumstances of the group. Hoolahan’s first record was also the first on Ivy League records, a label that went on to have huge global hits with acts like The Vines. However, since then the music industry has been entirely uprooted. Orszaczky doesn’t see this as the doomsday scenario others might, but part of a continuum. “We feel like we’ve been here before – when we were just starting in Sydney in the late 90s it was a dire time for guitar bands. Venues like the Annandale, Sandringham were closing and DJ culture was all the go. Hoolahan play the Phoenix on Saturday December 2 with Slow Turismo, Waterford, Okinawa Girls and Kieran Andrusko. Doors at 8pm, entry $10.